Lobsters nurtured in sea cages in Mai Nha Isle in An Hai Commune in Tuy An District of the central coastal province of Phu Yen have continuously been infected with disease then died, causing losses of hundreds of million of Vietnamese dong for lobster farmers. Although local authority made a correct diagnosis, the treatment has failed to prove to be effective. Lobster famers in Mai Nha Isle said that since the end of last year, lobsters started to die sparsely. The lobsters’ carapace became blackened then they died. Although farmers applied several ways of treatment they were unable to save their lobsters. The death-toll of most lobster cages in the waters of this isle accounted from 50 percent to 80 percent of total lobsters cultivating here. Many farmers sought ways to save their lobsters, including reducing lobster density, moving cages to other water area and treating lobsters with medicines and antisepsis but they were unsuccessful. Many lobster farming households have had to sell young lobsters whose weight merely reached 0.5 kilogram due to concern that they would lose everything if their lobsters die all. Vo Ngoc Phung, a lobster farmer, sadly said that he cultivated around 400 juvenile lobsters this crop. 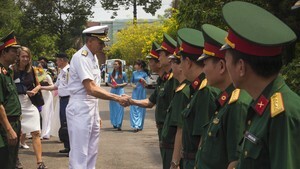 The costs for cages, feed and juveniles were up to hundreds of million of Vietnamese dong. However, so far he has lost 150 juvenile lobsters. Some lobsters reached the size of 0.5-0.6 kilogram but still contracted with disease then died. The disease has not been treated yet so lobsters still die sparsely. If the situation is not improved, many local lobster farming households will definitely be in debt. According to Mr. Huynh Huu Minh, vice chairman of the People’s Committee of An Hai Commune, there are 36 lobster farming households with 162 lobster cages keeping 30,965 lobsters in the waters of Mai Nha Isle. Lobsters started to die massively since January this year. Figures showed that there were 5,090 dead lobsters at that time, mainly flower lobsters at the size of 0.3-0.5 per kilogram. Local authority reported the situation to the Department of Animal Husbandry and Veterinary and the Department of Agriculture and Rural Development. These departments took the samples for testing. After authority took actions and gave treatment regimen, the disease has been basically controlled. There are just a few cages experiencing death of lobsters left. 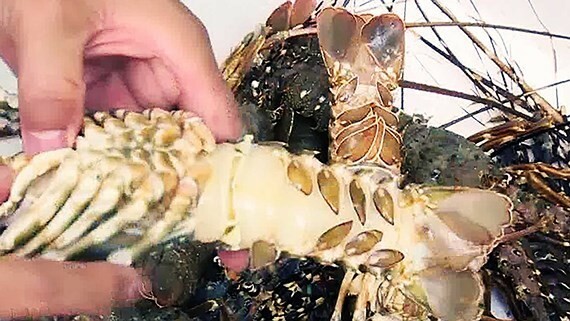 According to the Department of Agriculture and Rural Development of Phu Yen Province, test results on sick lobsters showed that lobsters were dead because of shell disease caused by bacteria and fungus. In addition, the lobster farming density was high, farmers failed to ensure sanitary for farming water area and lobsters’ diet was not good enough to boost resistance. Solutions have been suggested to deal with the situation. Accordingly, sick lobsters should be separated and classified to be given appropriate treatment regimen. Farmers should keep close watch on their lobsters to detect sick lobsters soon for isolation. They should not renew lobster farming in the waters where the plague is happening. They also should constantly check temperature, salinity and dissolved oxygen level of water in order to adjust them appropriately as well as regularly clean cages and farming area.